Great news from my Redbubble store! 20% OFF EVERYTHING for 72 hours. 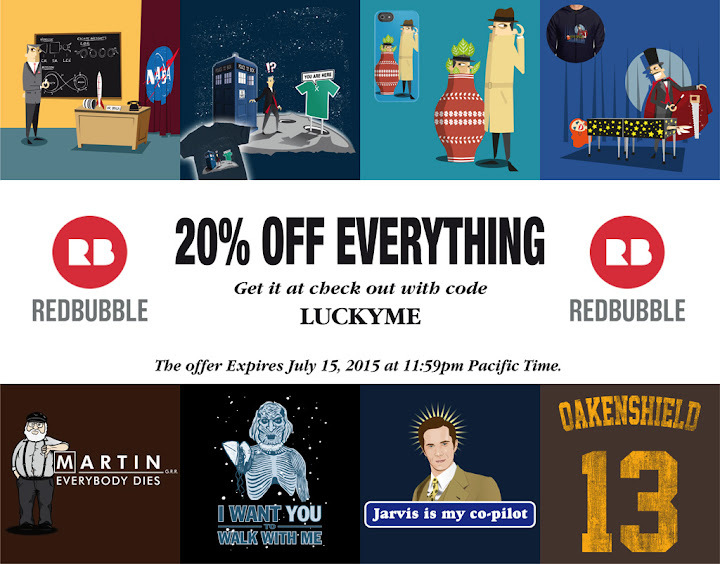 Use coupon code LUCKYME. Expires July 15, 2015 at 11:59pm Pacific Time.